Every motorcycle enthusiast dreams of owning a powerful machine that sets their pulse racing as soon as they turn the ignition. The problem is, with countless types of motorcycles to choose from, making the pick can indeed be overwhelming. Even if you have a fair idea of what you want – in this case, a motorcycle built for long rides – the selection can still be confusing, as you always have more than a few options. So, to make it easier for you, in this post, we compare three of the most suitable types of motorcycles for long rides – cruisers, choppers and tourers – on different parameters. Take a look. As far as looks are concerned, the most appealing of the three are choppers. Being custom made, choppers have ample scope of personalization, which clearly reflects in most of the bests you spot on the road. Cruisers come second in terms of appeal, whereas Touring motorcycles, being more focused on performance, finish last in terms of appeal. If comfort is a top priority, you cannot go wrong with a tourer. Specifically designed to provide ample back support, tourers can be further modified with high-rise backrests. For a more aggressive stance, you can go for a cruiser, whereas, for that unforgivingly masculine stance, you have to put your money in a Chopper. First off, the notion that a bigger motor means better performance, may not always be true, as the overall performance of a motorcycle depends on a number of factors, especially its power-to-weight ratio and aerodynamics. Nonetheless, you can expect choppers to carry the biggest motors, followed by tourers and then cruisers. If you were about to give up on idea of going for a tourer, this might change that. As tourers are designed to cover long distances, they boast some of the most robust chassis ever built for two-wheelers. Cruisers, being mass produced by established manufacturers, also have fairly sturdy chassis, with Choppers landing on the third spot. From tyres to chassis to electronics, touring motorcycles offer the best in terms of endurance, but they can be difficult to maneuver given their large size, which makes them somewhat unsuitable for those with a smaller body structure. If you want an optimum balance between endurance and rideability, your money would be safe in a Cruiser. Even when you exercise every possible precaution in the book of riding, there are times when things give up on you. But what if the inevitable happens in a no-man’s land? You certainly wouldn’t want to be stranded with a Tourer, as they are highly sophisticated machines. Choppers, on the other hand, are the easiest to repair of the three. Given the unique distinctions of the three options you have, it would be impossible to define a clear winner. All in all, the choice depends on what exactly you seek in a motorcycle. However, no matter the type you choose, if you are looking to get your hands on your dream ride, AutoBidMaster can help. 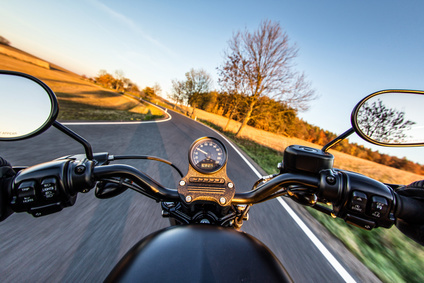 Placed among most trusted platforms hosting online motorcycle auctions, AutoBidMaster lets you choose from a wide range of used, repo and salvage title motorcycles for sale. If you have any questions about any of the salvage motorcycles for sale listed with us, simply call +1 (503) 298-4300, Monday to Friday, 6am to 4pm (GMT-8:00).